Heating a home isn’t cheap. But it’s even more expensive when you let that resource wastefully pump right out into the great outdoors—which is precisely what you’re doing if your attic isn’t properly insulated. This means you have to heat more and spend more to stay warm. Fortunately, insulating your attic isn’t very hard to do. Whether you decide to tackle the project yourself or feel more comfortable hiring a professional, you’ll be cutting down your energy bill substantially—not to mention enjoying a much cozier winter season. Via Best Property Improvements Inc.
Before you run out to the nearest home improvement store and pick up a truckload of insulation, it’s important to consider your options. Certain types of insulation are much more efficient than others. Some are more affordable, and others are just easier to install. While debating your options, you’ll probably want to consider blanket insulation and blown-in insulation. These are the two most common insulation types, and they both provide dependable value for their cost. Blanket insulation—also known as batt insulation—is more efficient than blown-in insulation, but it’s also more time intensive and difficult to install. When done properly you’ll save more money with this type of insulation, but you should expect the process to take quite a bit longer to complete. Loose insulation—also known as blown-in insulation—is easier to install, but it offers lower insulation levels. This means that you need more of it or another type of insulation, such as rigid board insulation, layered over top to complete the job. It’s simple to lay down, and it can be completed by an expert or a homeowner with the proper equipment. Both insulation types are comparable in price, so it’s really up to personal preference which type you choose. When you’re insulating your home you should choose anywhere between R-38 and R-50. It’s recommended that you hit at least R-38 to cut down on heat loss and improve the energy efficiency of your home, but going above and beyond that figure will bring your further benefits to an extent. Decide on your desired value, and then figure out how many layers, or how much of the material you will have to use to reach that level during the installation. There are areas all over your home that allow great amounts of air into your attic if they aren’t sealed properly. 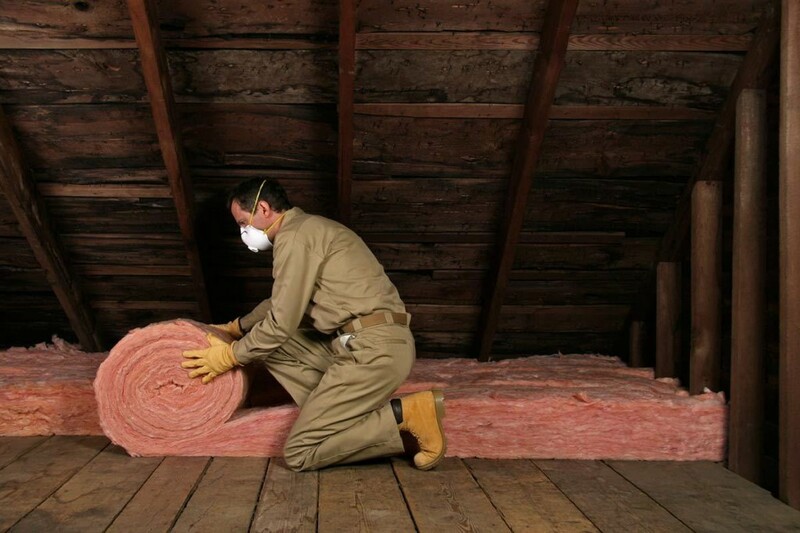 You’ll want to seal up these potential air leaks before insulating the rest of your attic. Check for gaps in all plumbing and pipe vents and fill with expanding foam insulation. Interior wall tops should also be filled with caulk to close up holes and gaps. An access door should be coated with rigid board insulation on the attic side, and weather stripping should be used around all four seams. If you have a chimney that runs through your attic, seal around the chimney with a fire-rated insulation to keep air leaks out. Any pipes that run into your attic should be sealed with foam insulation for two reasons. The first reason is to save energy by preventing heat loss from hot water lines. The second reason is to protect the pipes against freezing if you live in a colder climate. 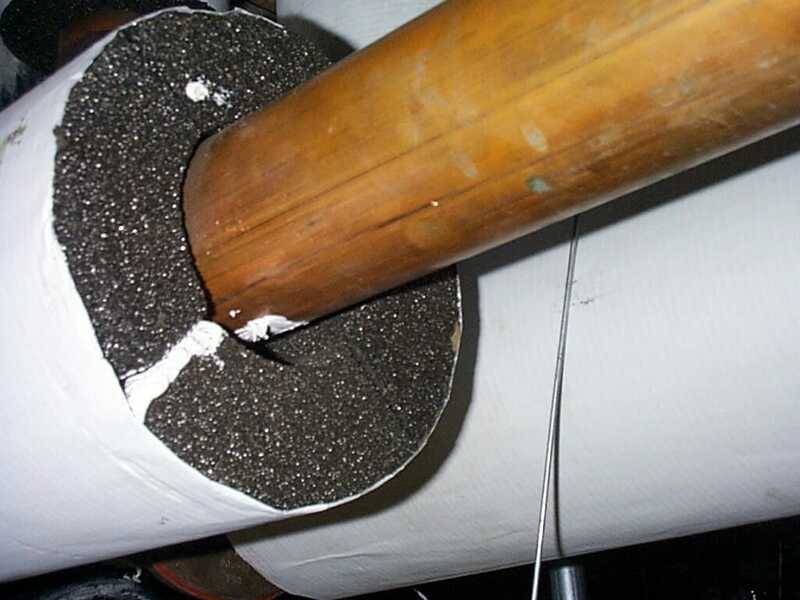 To insulate the pipes, simply slice pipe insulation vertically and slip it into place around the pipes. But each piece of insulation firmly against the one before it to create a solid seal throughout. Lock the insulation in place using special clips designed for the purpose, or with insulation tape. If you’re using rolled-up insulation and need a vapor barrier, roll it out between each of the floor joists and staple it into place. Once locked in place, you can begin rolling out your insulation. Roll it out in between each of the joists, ensuring that there are no gaps. Squeeze it into the joists to create a continual barrier. Be sure to leave a perimeter opening around any electrical cords to keep them from heating up and creating a fire hazard. If you determined that you needed more than one layer of insulation to reach the desired R-level, roll out the next layer perpendicular to the first until you’ve reached the desired depth. 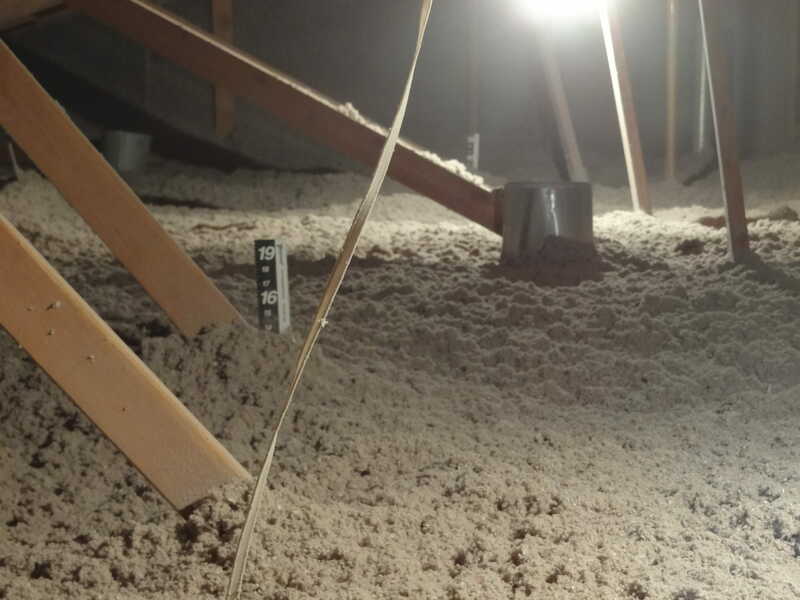 If you have irregular rafter spacing or plenty of twists and turns in your attic, it makes sense to rely on loose fill rather than blanket insulation. Loose fill is simply poured or blown into the attic space, and it doesn’t have to be cut or sized in any way before installation. This makes it a fast insulation option and a highly effective one when put down properly. Start by setting a small strip of blanket insulation in between each rafter at either corner of your attic at the eaves. This is to keep the blown-in insulation from leaking out once installed. Now pour the insulation by hand, or blow it in using a blower until it’s at the desired thickness between each of your floor joists. If you don’t have enough space to get the insulation thick enough, you might want to add a rigid board or plank style insulation over top of the blown-in insulation. This gives you the needed insulating factor, and also makes it comfortable to walk in the attic and use it for storage. Regardless of your installation process, once you complete the insulation installation, you’ll notice a discernible difference in not only your heating costs, but your cooling costs during warmer months, too.